Wargaming has, with World of Tanks, demonstrated a clear ability to create and service awesome online gaming environments based on the free-to-play model. They boast a huge userbase and support their products exceptionally well. 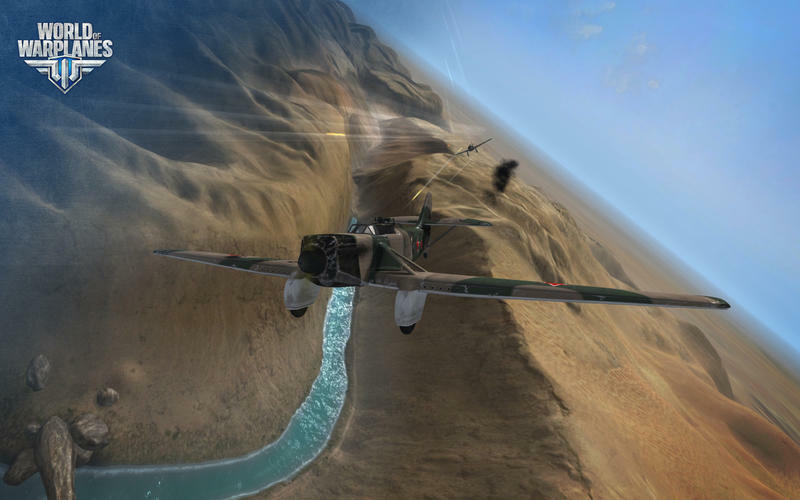 Enter World of Warplanes, the second of three World of… offerings from the studio. 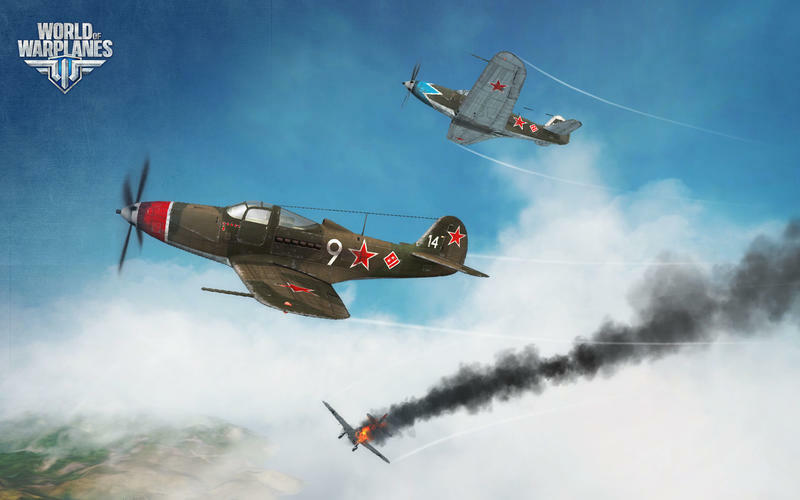 This new game features fabled aircraft and huge maps to dogfight over and blow up objectives. We've spent a few weeks inside the game's universe and are here to give it a review. 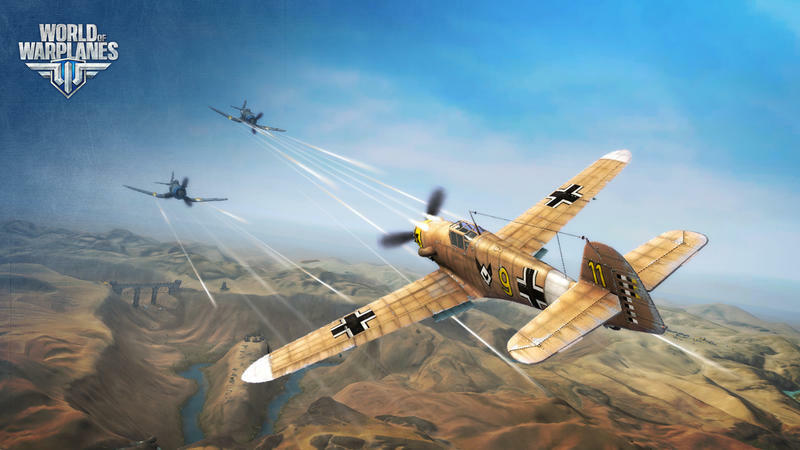 Is World of Warplanes worth your time? How about your money? Whether it's planes or tanks, Wargaming has always been really, really good about keeping things approachable. That remains true for World of Warplanes. Fly a few tutorial levels and you'll be up-and-running in a snap. That low-barrier for entry translates to the graphical demand of these games, too. You don't need a ridiculous machine to enjoy these games. They look great on nice rigs, of course, but players with less powerful gaming PCs need not fret. The title still runs silky smooth, which is awesome for a free game. For my money, I'd say the best way to experience World of Warplanes, short of an actual flight stick, is with a gamepad. If you have one, use it. I tried playing with a keyboard and mouse and found I liked taking rounds at a relaxing pace much more enjoyable with the gamepad. This is an arcade experience by nature. It's not a flight sim. Don't expect crazy nuanced controls, and you'll likely walk away happy. I know a lot of you folks have probably already made this connection with free-to-play games and their microtransactions. When done right, they aren't necessarily bad. There are a lot of developers and publishers out there that make free-to-play games designed solely to addict users and then throw a progression barrier down in front of them as soon as they perform well. The World of… folks at Wargaming, however, don't do this. Yes, if you have money to dump into an account and don't mind doing so for a few planes and upgrades, your experience in game will likely be more positive. But, if you'd rather take it slow, play these games with a few planes at a time and maybe dump a few bucks in here or there, you have that option too. I was given a press account with a load of unlocks and tons of credits and gold to spend. I played that account for, maybe, three hours. I then started as a regular user and dumped a lot more time into that one. Press accounts are great, I'm not knocking them, but a lot of the joy in these games comes from earning unlocks, not just… having them. The unlocks in the standard account come quickly, at first. Once I hit around a dozen hours, things slowed down and I found myself willing to toss in a few extra bucks here and there. Not bad. I suppose where World of Warplanes messes up is that, and how could they avoid this, they used aircraft. Stick with me here. I played a bit of World of Tanks. Each vehicle felt incredibly unique and handled differently. In fact, right from the get-go, novice players will notice and feel the gap between tanks during play. By nature tanks scale in speed and firepower very well. Planes, however, feel very, very similar. It doesn't matter if you're in a floating fortress or an agile fighter, the variety of play doesn't really swing until you get into a round with truly experienced players. 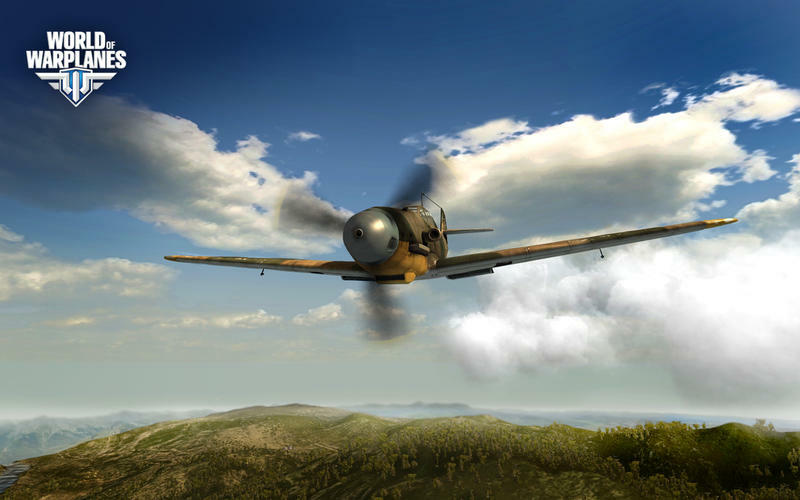 The vehicles in World of Warplanes all feel very similar, and, for most players, they all play the same way. Now, if you stick with the game and you ride it out and, maybe, put some money into upgrades and more craft, you will see the reward of variety. At first? Not so much. 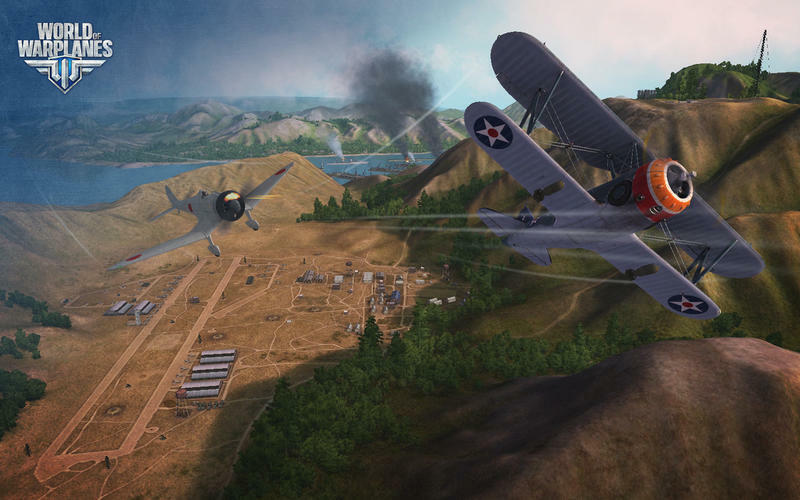 World of Warplanes is, by design, a team deathmatch title with no respawning. That means, once you die in a dogfight, you're dead for the remainder of that round. It's a traditional take on the multiplayer competitive genre, so I'm not here to pick apart this issue. The problem stems from exactly how much waiting you'll have to do in between dogfights thanks to the way matches are handled. If you die in battle, you're told to either spectate or head back to your hangar. If you spectate, you'll watch until all aircraft are destroyed. If you go to your hangar, you can pick another plane and try again. That's right, the plane that goes down in one battle isn't freed up for more air combat until that battle ends. Not just your participation in that battle, but the whole battle itself. If you dump a ton of credits and, potentially, money into just one plane, you'll only be able to use it when it isn't freshly exploded. The issue here is that joining battles takes so long. In fact, it takes anywhere from two to five minutes to fire up a new battle. That time is spent sitting in the queue. I typically played in the midday hours on the east coast of the U.S., and there were plenty of players on at the same time. I still waited several minutes between bouts of action. Most of my time was spent either waiting or flying to a new dogfight. If you're looking for a slow burn of a plane game, give this one a go. This seems pretty common sense to us, but it bears actually writing out. Try World of Warplanes. This fun title wound up sucking us in for more hours than we actually thought it would, and the free-to-play nature means that you're welcome to give it a go without any risk of lost cash. Wargaming has shown that they will support their products well after release, so expect more content and regular patches to keep improving your experience. If you're looking for a slow burn of a plane game, give this one a go. It's not the best flying experience on the market, but it's darn good for its price point and host of offerings. Don't be afraid to spend a few bucks once you really get into the experience, though. Gaming for free is great, but money spent here and there will certainly help things stay fun in the long run. We received a press account from Wargaming loaded with credits, experience and gold. We played it for a few hours with multiple planes. We then started our own account and piled up around 15 hours before starting this review.